SSC 1102 Scientific Assistant Posts 2017 Recruitment Results Declared on SSC.Nic.In : SSC 1102 Scientific Assistant Posts 2017 Recruitment Admit cards: The Staff Selection Commission (SSC) released a notice regarding the 2017 recruitment exam for 1102 scientific assistants in the Indian Meteorological Department. Candidates can now apply for the post from the official website of the SSC by 5 pm on August 4, 2017. The fee for the exam is Rs 100 which candidates will be required to pay by August 8. The exam will be conducted from November 21 to November 27, 2017 at exam centres in Jammu, Bhopal, Ahmedabad, Guntur, Itanagar, Almora, Bangalore, Gangtok and Agra. Phones, calculators and other electronic devices will not be allowed inside the exam hall. Staff Selection Commission, SSC has released the results for Scientific Assistant written examinations 2017. The examination for conducted by SSC in the month of November. The results are now available on the website. As per the official note, 4,75,093 candidates applied for the examination. Out of the total, only 1.61, 196 candidates actually appeared. The results of about 13 candidates has been withheld. The remaining results can be viewed on the official website ssc.nic.in. Links are provided below. The roll number of the candidates whose result has been withheld or not evaluated are available on the official notice here. To check the SSC Scientific Assistant Results 2017, candidates may click on the link provided below or check from the official notice. The link to check the results is available on the official notice. Candidates would require their registration number and password to access their result. The result has been sent to IMD which would in turn carry the document verification and release the final results. The examinations were conducted between November 22, 2017, and November 25, 2017, for recruitment of 1102 posts of Scientific Assistant in the Indian Meteorological Department, IMD. The results, as per the official notification on the website ssc.nic.in is to be declared today. Steps and general instructions to check the results are provided below. Step 4: Click on the Results link to check your result by entering your registration number and password. Please note, the results would also be made available on the link provided above as and when it is released on the official website. The candidates are hence advised to keep refreshing the page. The results are tentatively expected to be released by 1300 Hrs. Update on the same would be provided here. "The Examination for Recruitment of Scientific Assistants in India Meteorological Department was conducted in the Computer Based Mode from 22.11.2017 to 25.11.2017. A total of 4,75,093 candidates had applied for the Examination, out of which 1,61,196 candidates actually appeared in the Examination. Candidates may check their marks on the following link from 13.02.2018 to 15.03.2018: http://164.100.129.99/imd2017_marks/ by using their Registration No./ Roll No. and Registration Password. The Marks List of 1,61,183 candidates has been sent to India Meteorological Department, M/o Earth Sciences to conduct Document Verification and process the Final Result of the successful candidates keeping in view the number of vacancies. " The examination would comprise 200 questions carrying 200 marks for two hours duration. The question paper would have two parts, Part - I and Part - II. Part I will be divided into four parts carrying 25 marks each. The four parts are: General Intelligence and Reasoning, Quantitative Aptitude, English Language and Comprehension, General Awareness. Part II will carry 100 marks for 100 questions from Physics, Computer Science and Information Technology, Electronics and Telecommunication Engineering. There will be negative marking of 0.25 marks for each wrong answer in both the Parts. The Commission will prepare the category-wise merit list and hand it over to India Meteorological Department, which would declare the final result. 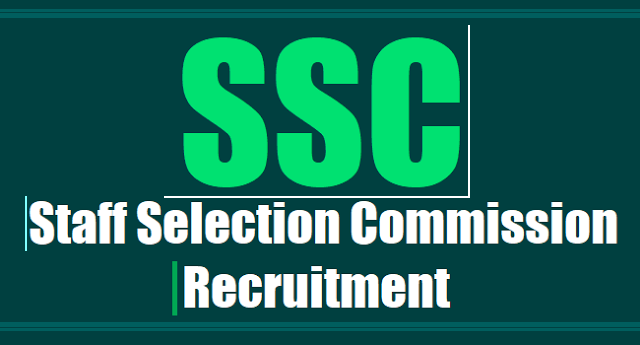 Staff Selection Commission will conduct a open competitive examination for recruitment to the post of Scientific Assistant in India Meteorological Department, Group-B Non-Gazetted, Non-Ministerial post in computer based mode all over the country. Age Limit: Not exceeding 30 years as on 04.08.2017. Scheme of Examination: The examination would comprise 200 questions carrying 200 marks for two hours duration. The question paper would have two parts, Part - I & Part - II. The exam will be divided into two parts with a weightage of 200 marks. Candidates will be required to answer 200 questions in two hours and avoid giving incorrect answers due to a negative marking of 0.25 marks. ~ Candidates should be no older than 30 years of age as on August 8, 2017. ~ Candidates are required to have a bachelor’s degree in science (with physics as one subject), in computer science, in information technology or in computer applications. ~ Candidates with diplomas in electronics and telecommunication engineering from a recognised institution are also eligible. ~ Qualification: First Class Bachelor’s Degree in Science (with Physics as one of the subject)/ Computer Science/ Information Technology/ Computer Applications. Or Diploma in Electronics and Telecommunication Engineering. ~ Below the notification for “Scientific Assistant in India Meteorological Department Examination, 2017” follow the link to apply. ~ Fill in your details in the fields provided to register and apply. ~ Download your application and take a print out of the same for further reference. Date of Computer Based Exam: 20.11.2017 to 27.11.2017. Last date for online application: 04.08.2017.